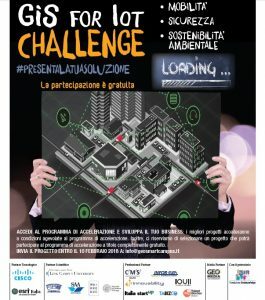 The ‘’GIS for IoT Challenge’’ promoted by GEOsmartcampus Business Accelerator, seeks to identify outstanding proposals offering novel Innovative Projects based on the integration of IoT and GIS systems , regarding position and positioning, with the purpose of offering to Smart Cities and Smart Industries efficient Innovative Solutions. This is a free admission Challenge, addressed to independent Innovators , Innovative SME, start-up and academic spin-off. 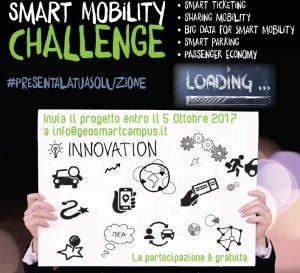 GEOsmartcampus launchs ‘’Smart Mobility Challenge’’, in order to unearth new innovative projects concerning Smart Mobility. -Passenger Economy: contents and services for Passengers.